Are Literary Agents Anti-Writers and Pro-Publishers? I wanted to speak with my agent, Murgalump Kneffle, but as usual, she avoided me. I decided to appeal to her on her level. 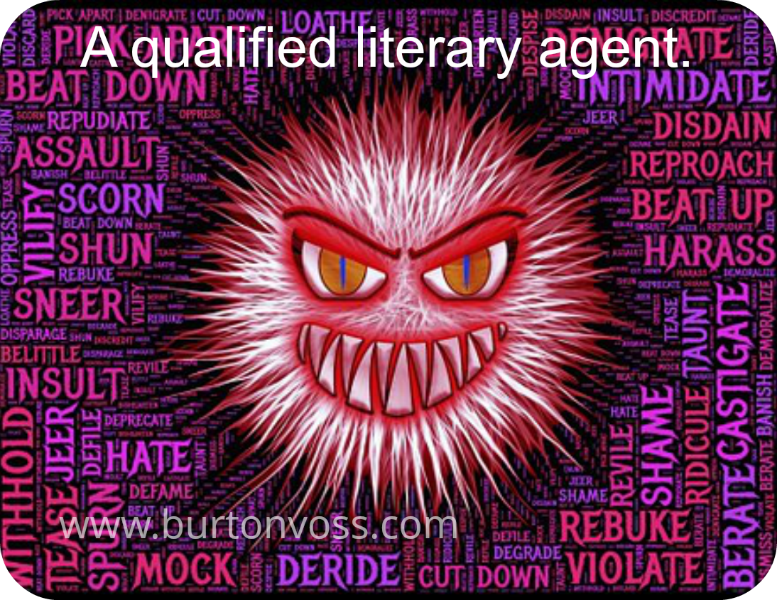 All I needed to do was figure out what is an agent’s passion – what drives them? I withheld her monthly check and told her that she had to come pick it up. She did but charged me $30 for the pickup fee. I had a nice lunch prepared, I knew she wouldn’t pass up a free meal and would stay as long as the food lasted and until she got her check. I hauled out my question list. “Ha!” She spit out half of the gob, caught it in her napkin and transferred it back in with the rest. “Let’s say I’m saving you from … well, embarrassment in the least. Most likely ostracism and having to register as an offender of the printed word. “What? Nobody else wants you?” I was getting a sinking feeling that I’d been had. What’s your experience with an agent? Leave a comment. Writing Fiction is published on Wednesday’s.